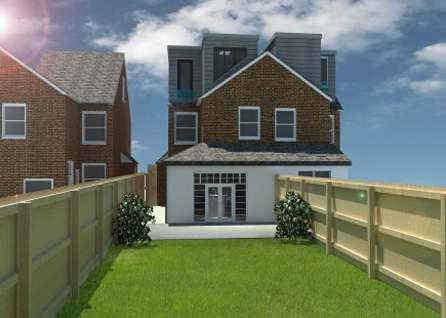 This detached property is located in Molesey, Elmbridge. 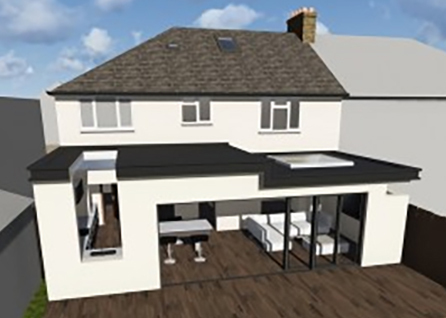 The client wanted to achieve a space in which he could continue to work from home but in a more user friendly and spacious environment. 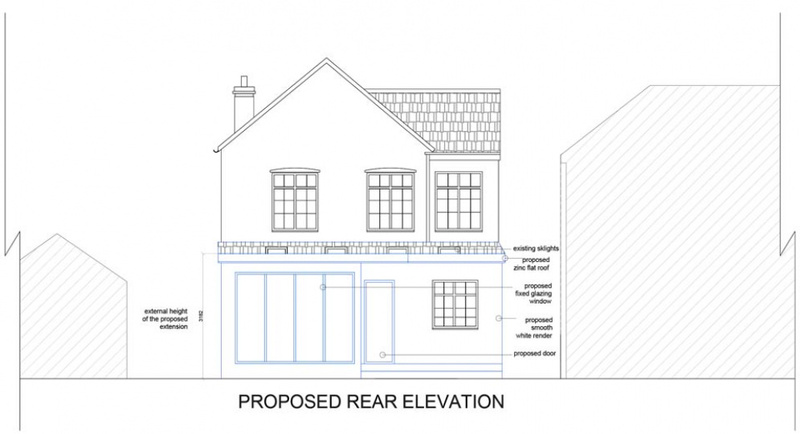 Currently, the client works from home in his living room area, which unfortunately means he takes up the communal space. 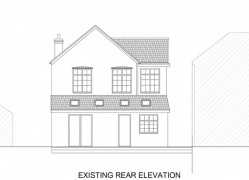 The client requested for the proposed space to remain private however still connected to the rest of the dwelling. 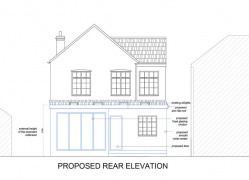 He had some concerns regarding the construction cost of the extension and wanted to maintain his existing rear extension. 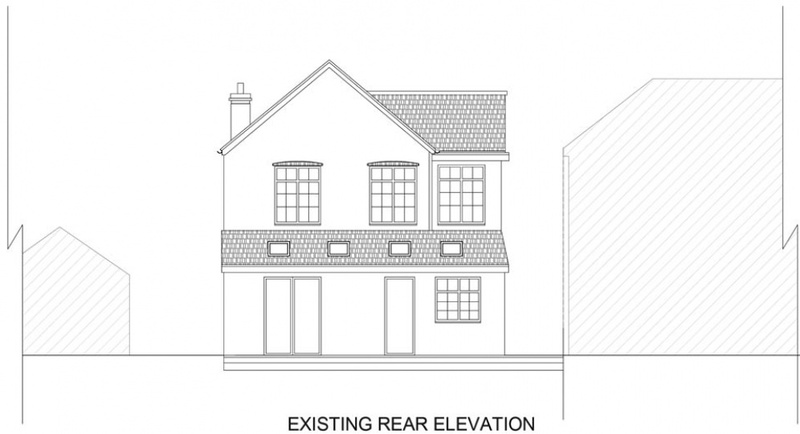 The rear box extension, measuring 3m by 3m, proposes a width that is half of the original house. 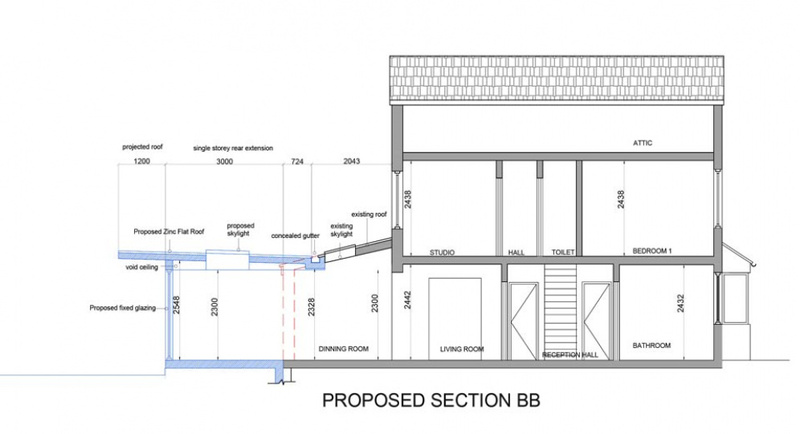 The location of the proposed study room leading off from the dining room proposes an intimate space with a view to the garden through large bi-fold doors. 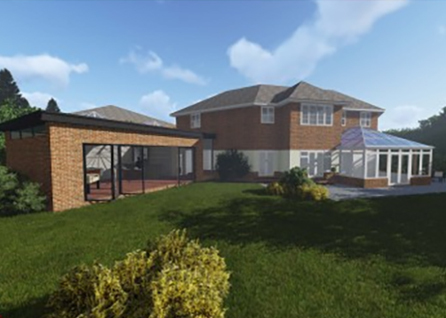 The proposed bi-fold doors blurs the boundary between inside and outside, making the space seem larger, with a light quality. 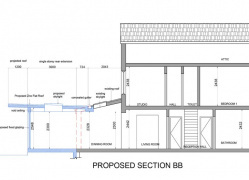 The client wanted an internal continuity between the existing dwelling and extension therefore structural elements were removed, such as the beams in the ceiling, to provide a seamless transition. 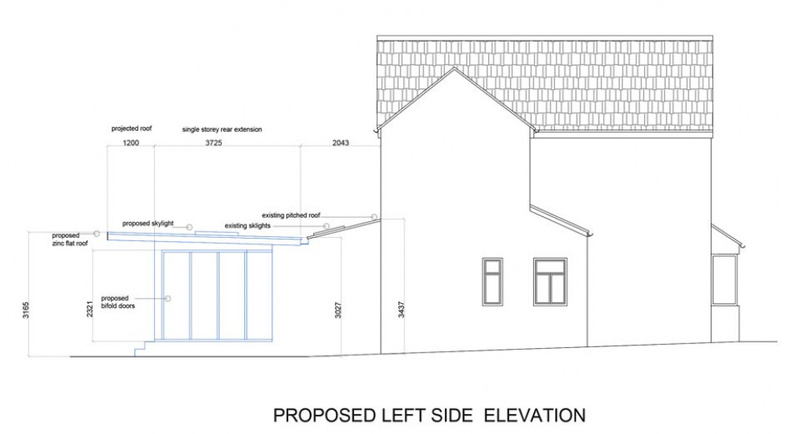 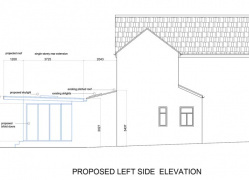 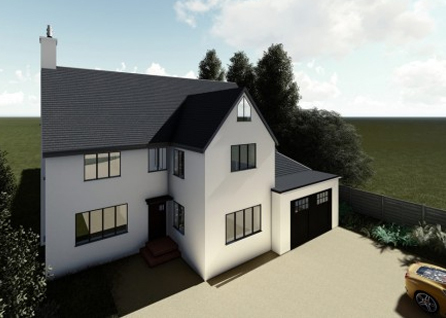 Due to the fact that the client wanted their existing extension to remain intact, the roof design was vital to this project since we had to propose a design that would satisfy the client’s request to create an integrated roof design. 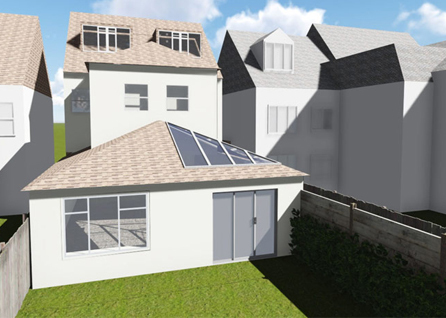 The proposed GRP flat roof design is integrated into the existing pitched roof and features a skylight in the centre of the study room.